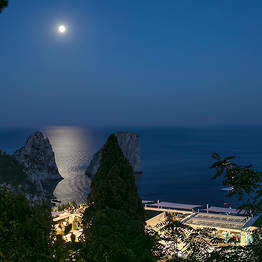 Capri Rooftop on Capri. 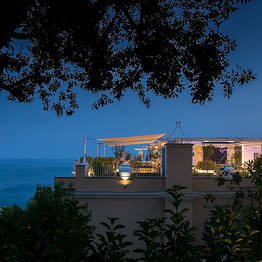 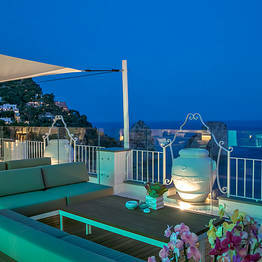 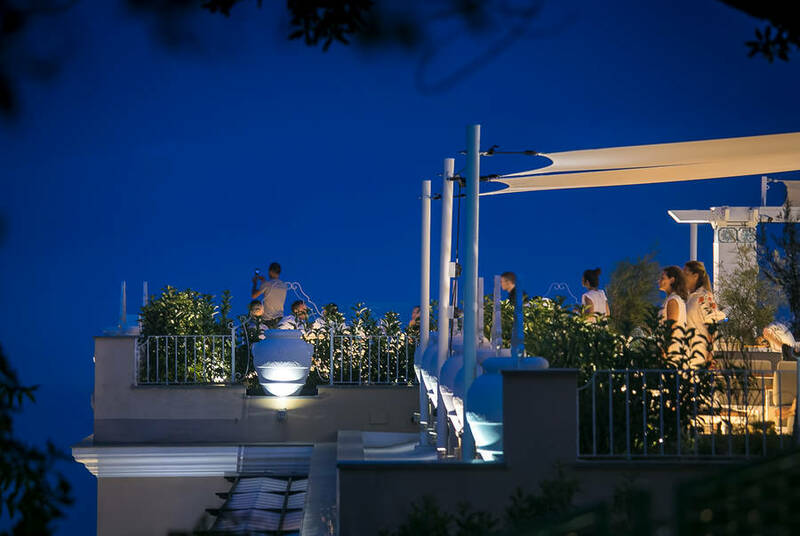 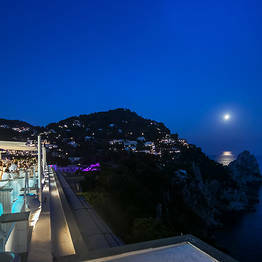 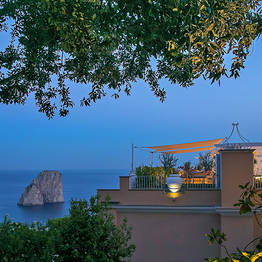 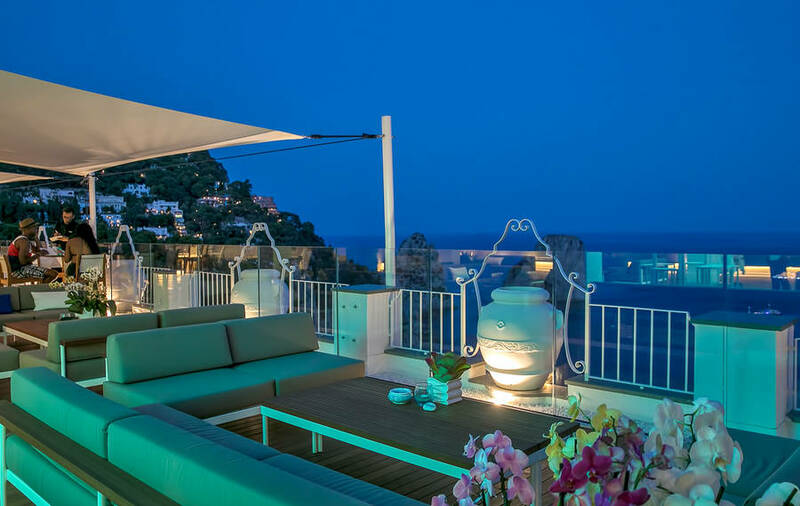 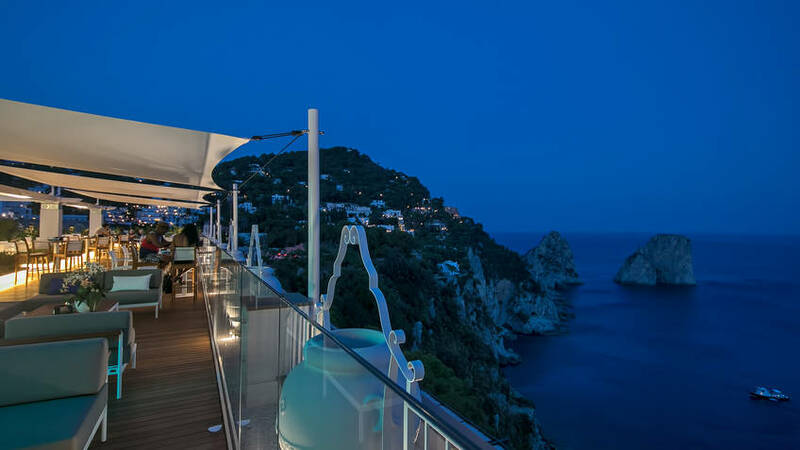 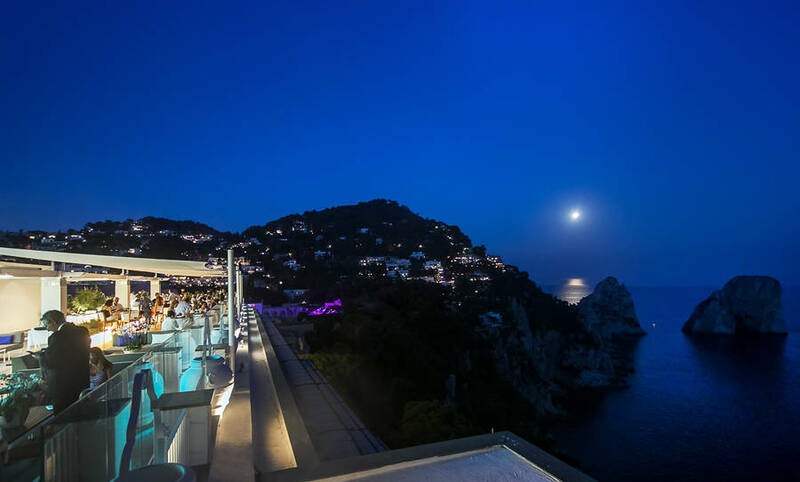 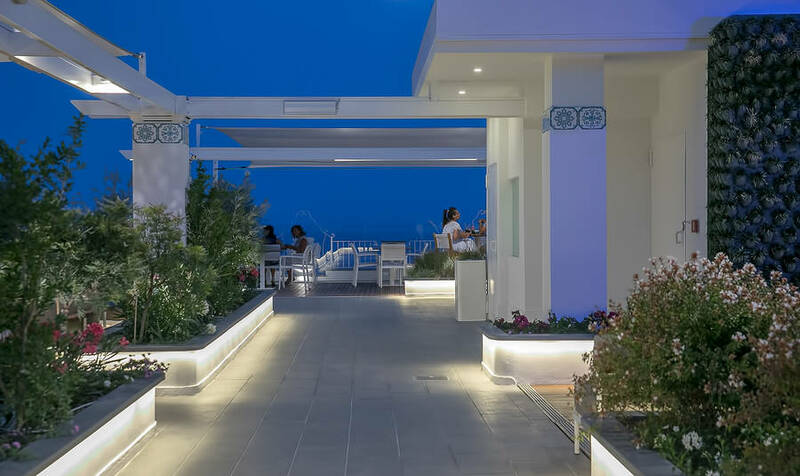 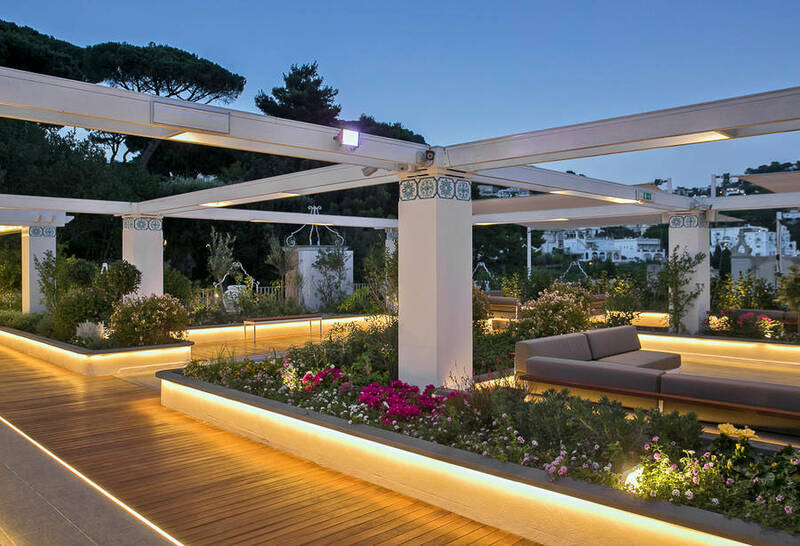 A rooftop terrace lounge and bar in the center of Capri. 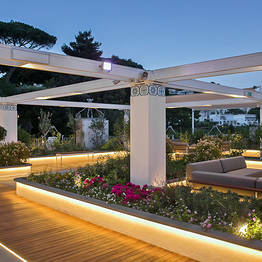 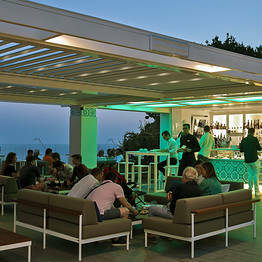 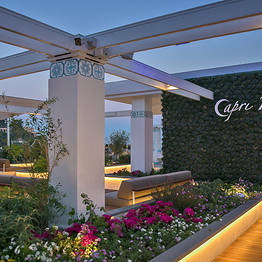 Capri Rooftop - A rooftop terrace lounge and bar in the center of Capri. 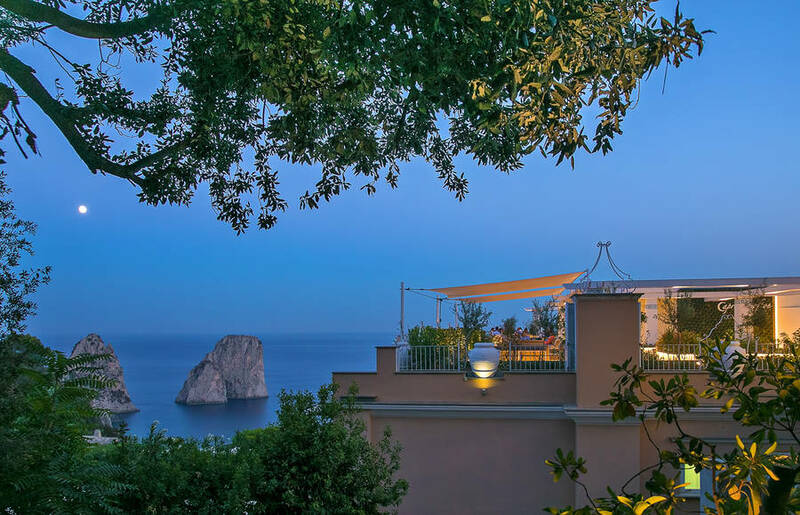 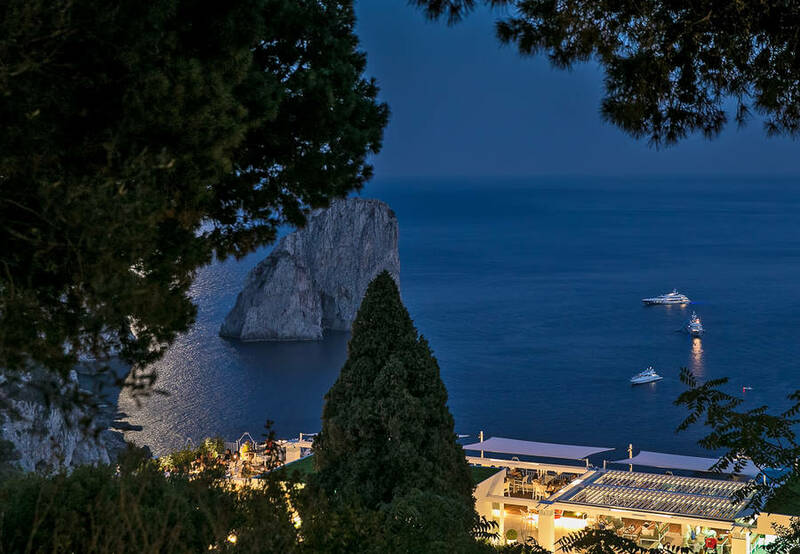 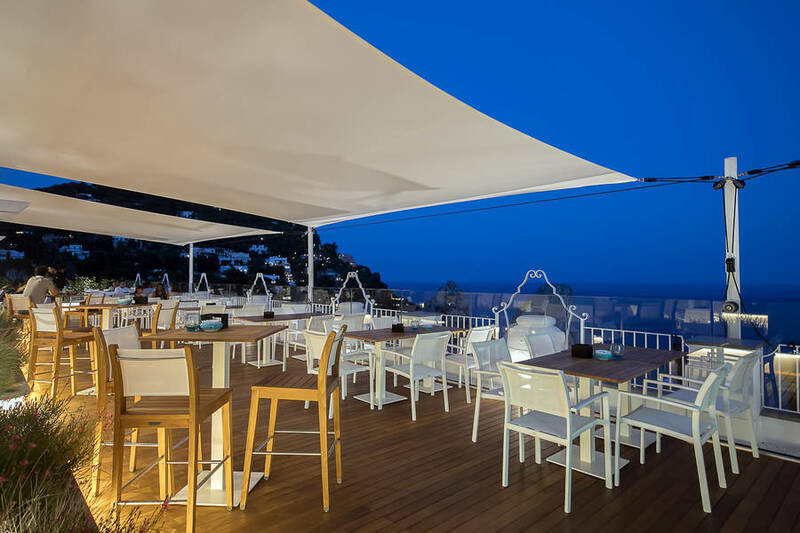 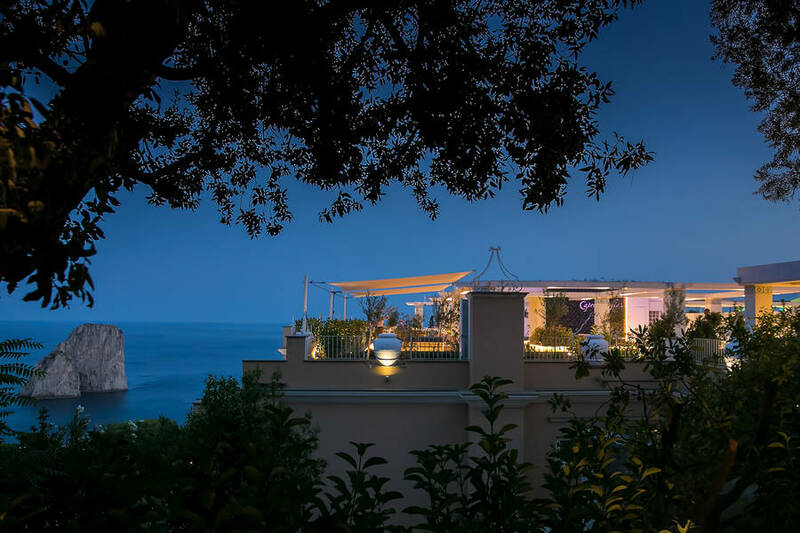 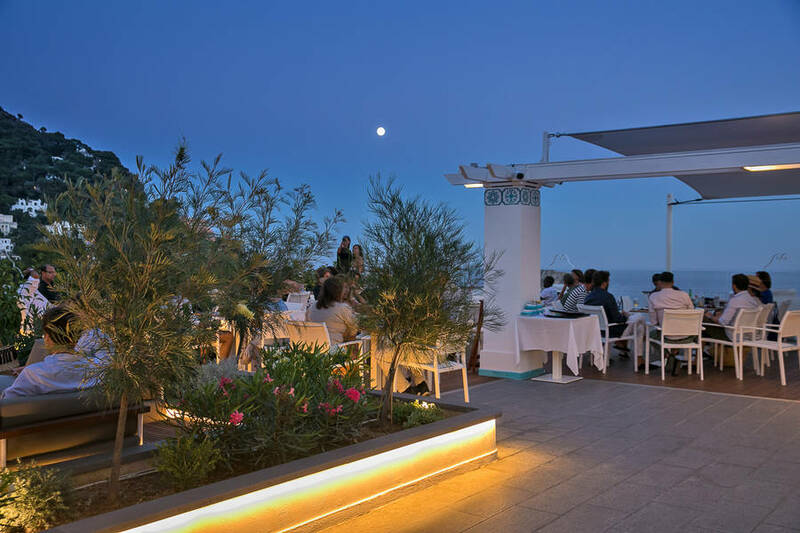 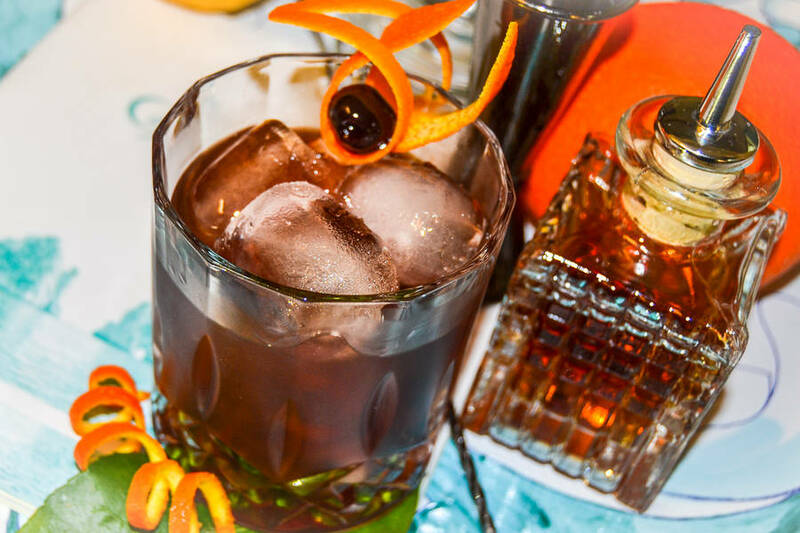 A terrace high above the rooftops with a view over Capri's Faraglioni di Capri: welcome to Capri Rooftop, the new lounge bar at Hotel Luna. 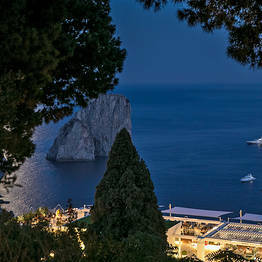 Capri Rooftop looks over the Marina Piccola Bay and the dramatic Faraglioni sea stacks off the coast of Capri, one of the most beautiful views in the world that you can enjoy while relaxing on one of our couches while sipping a made-to-order cocktail. 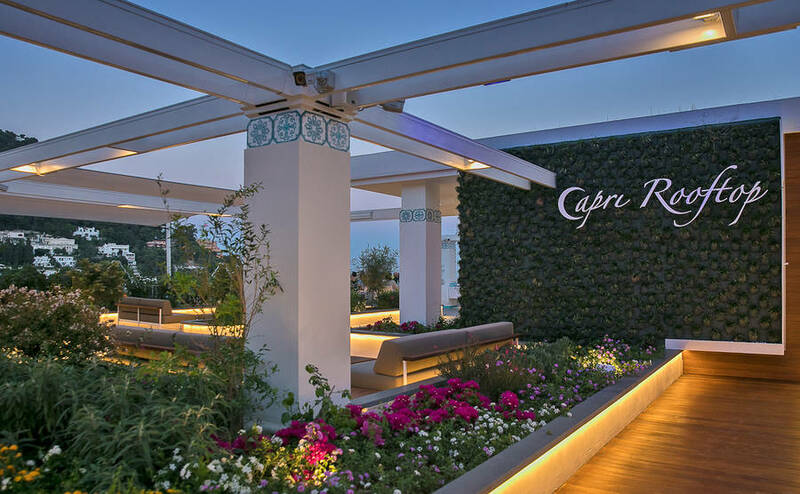 At Capri Rooftopo, you can stop by for a morning cappuccino, a light lunch of Caprese salad, or a fresh juice in the afternoon. 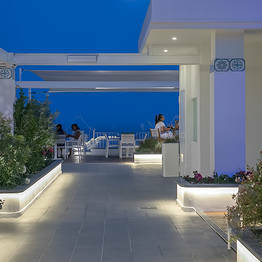 We always have a small selection of snacks and finger foods, in addition to a vast menu of cocktails and non-alcoholic drinks. 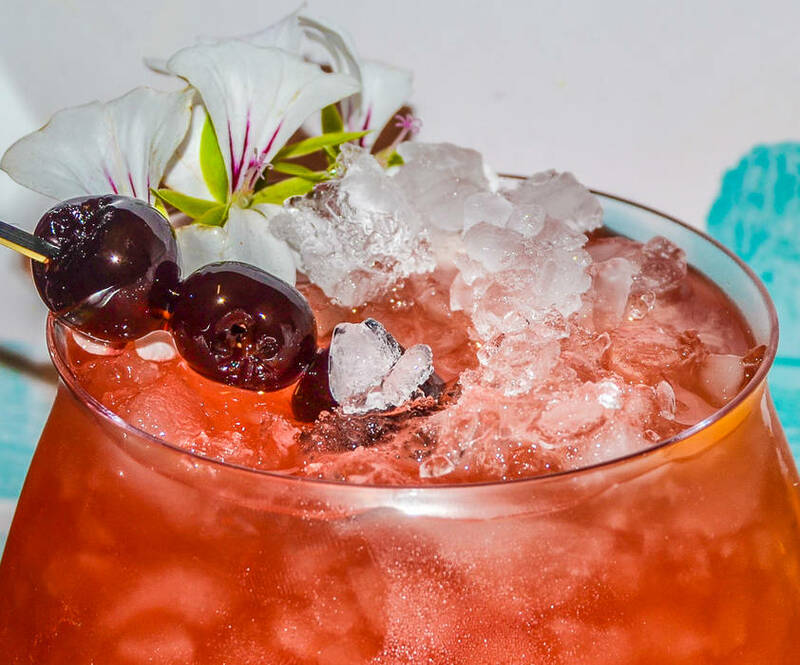 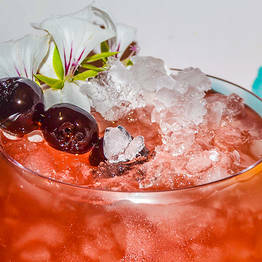 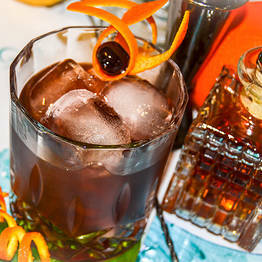 Our signature cocktail is the Luna Caprese, a mix of vodka, limoncello, citrus, and soda water. 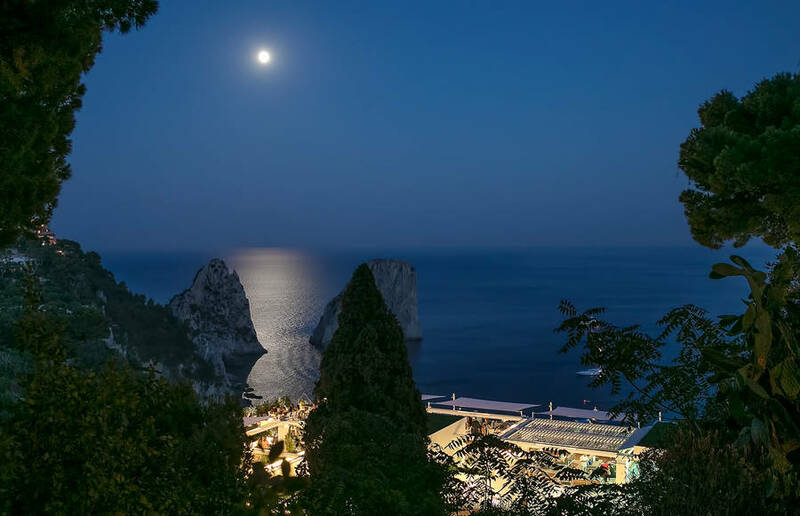 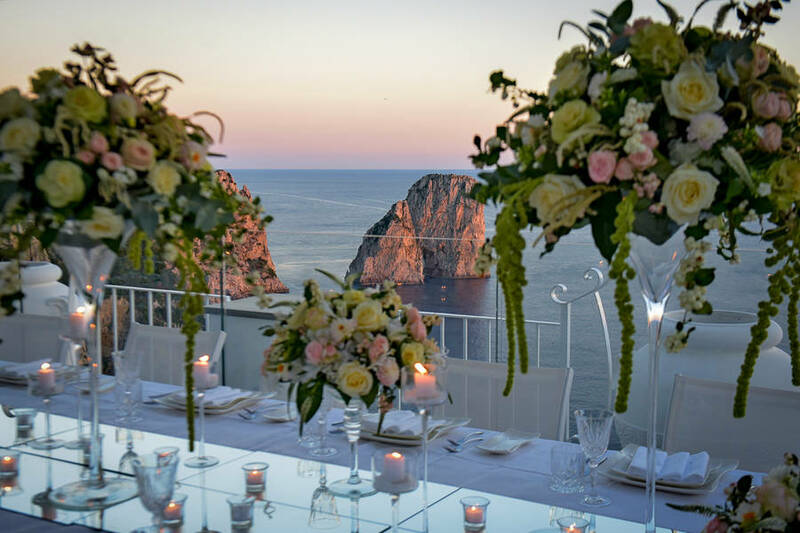 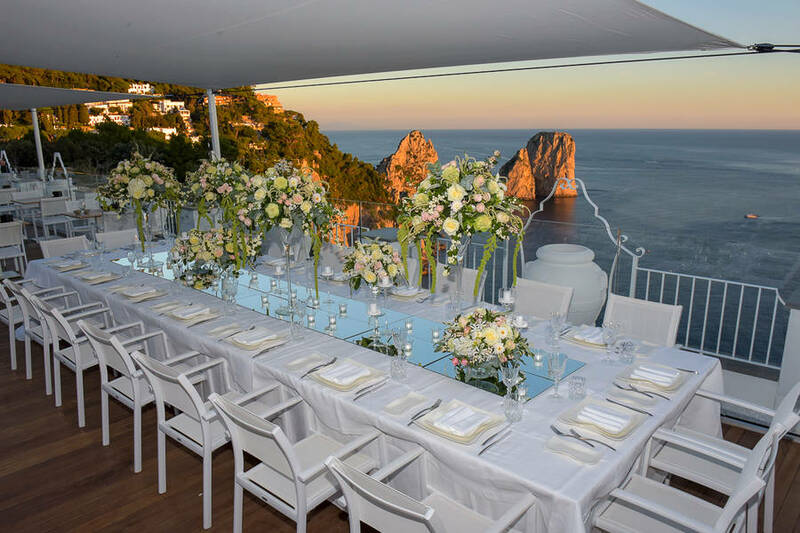 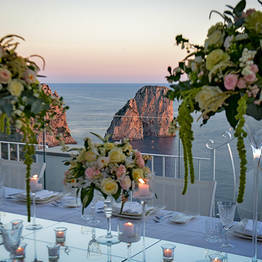 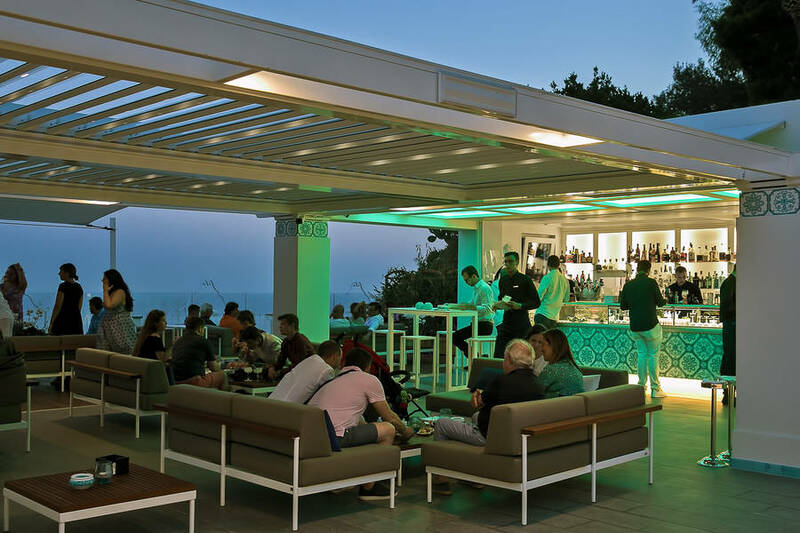 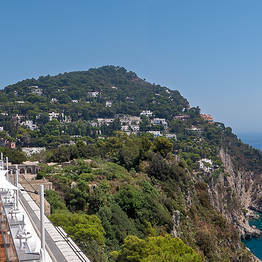 A central location and awe-inspiring location: these are the two selling points that make Capri Rooftop the ideal location for events and parties. 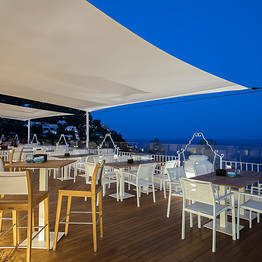 The terrace can easily fit up to 280 standing guests, or 180 for a seated meal. 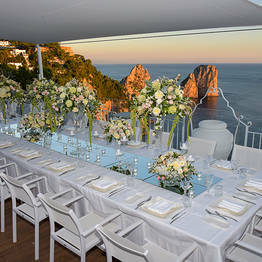 We can also hold receptions for civil or symbolic ceremonies celebrated at the adjacent Gardens of Augustus. 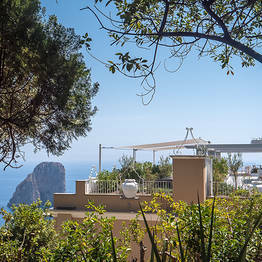 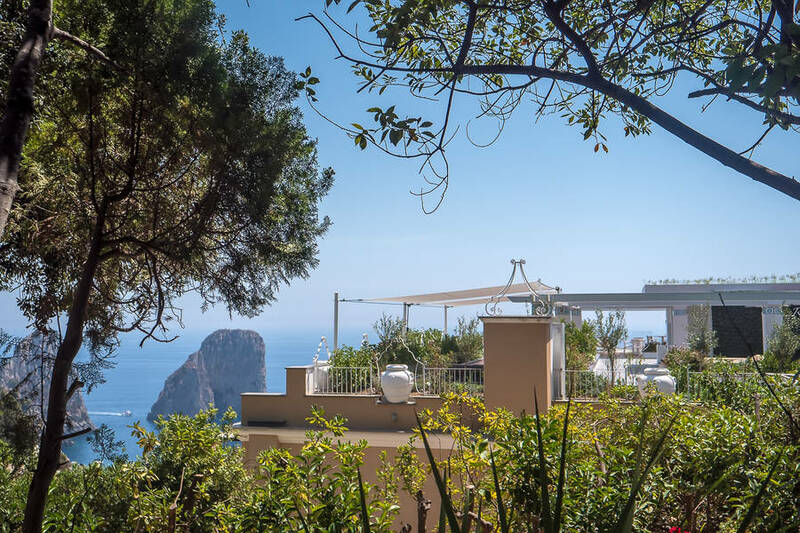 Capri Rooftop is location next to the Gardens of Augustus along Via Matteotti, just 5 minutes from the Piazzetta on foot. 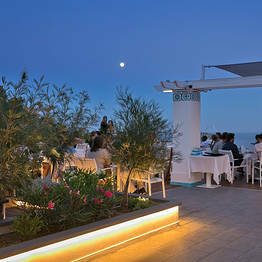 Part of the Hotel Luna, the lounge and bar has a separate entrance from the street.